Excavation 2012 – Day #17 – Would You Like Some Socks With That? 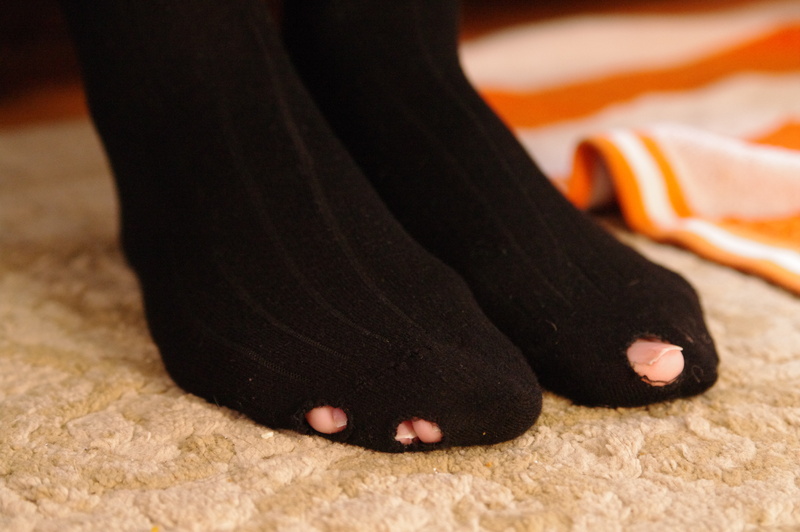 If there is one thing that Steven and I adamantly disagree on, it is socks. But it’s a little more complicated than the fact that I like to wear them pretty much every moment of the day, and he has a tendency to tear them off his feet the moment he walks in the door. No, what we really disagree on is what I like to call Steven’s Holy Sock Problem. 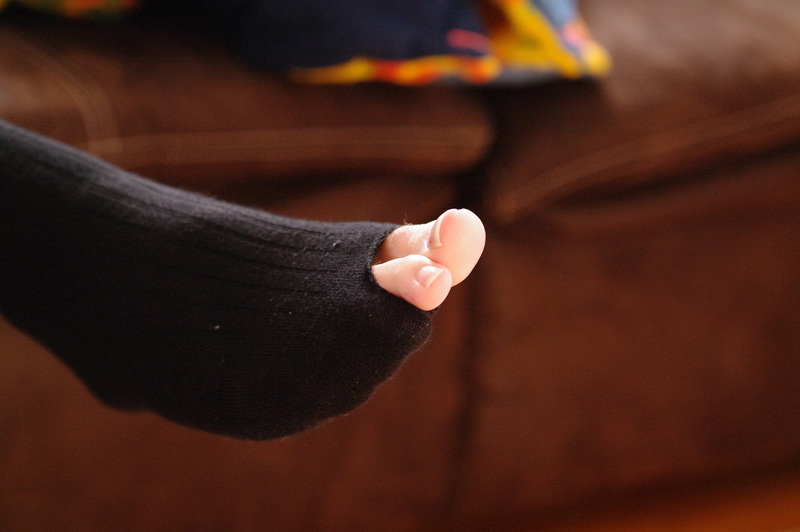 I’m pretty sure I told Steven to throw these socks out several weeks ago, yet somehow they keep ending up getting washed with the laundry and put back in his sock drawer. Probably because Steven hates buying dress socks more than anything in the world. 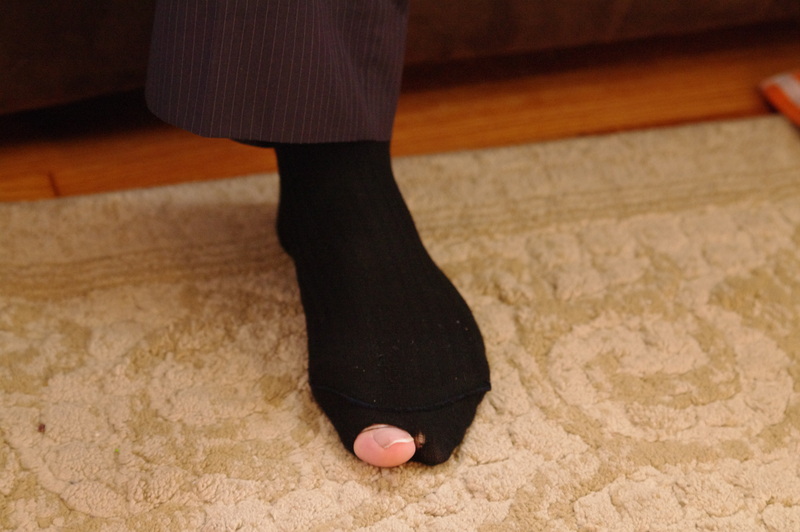 He says his dress sock hatred stems from the fact that they always seem to rip about 10 minutes after he puts them on. I don’t want to be a nagging wife, but the one thing I will pester Steven about until his ears bleed is the fact that he needs to cut his toenails regularly. And by regularly, I mean at least twice a month. See, Steven doesn’t just have toenails. He has some crazy, thick, super-bionic knife blade nails. And they grow freakin’ FAST! Way faster than normal human nails are supposed to grow. I swear he is some sort of mutant. And the problem is, he hates cutting them. I’ve suggested several times that he go for a pedicure instead, but Steven refuses to pay good money for something he is perfectly capable of doing himself. Instead, he just ignores his nails week after week, even when they break, leaving sharp jagged razor edges. Once, Steven’s toenail even sliced our fitted bedsheet when he was climbing into bed. He adamantly denied responsibility, but the proof was right there, beneath his foot, in the shape of a 16-inch slit in our sheet. 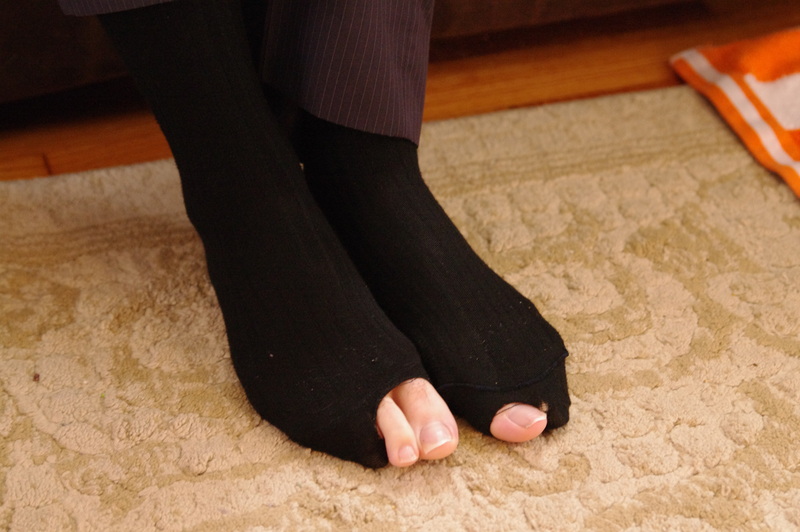 So, I ask you, am I delusional to suggest that Steven Scissorfeet is, in fact, responsible for the big gaping holes in the toes of his dress socks? He denies any correlation, but I, for one, cannot ignore such compelling evidence. Tell me, friends, whose side are you on? 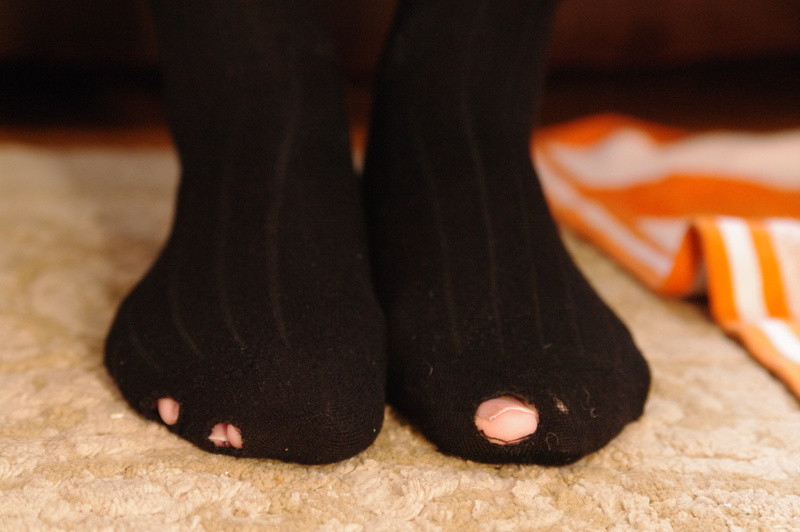 So today, two pairs of dress socks were officially retired, but as of yet, Steven has not cut his nails.